Please select an option Bronze Gold Silver Please select a Finish. 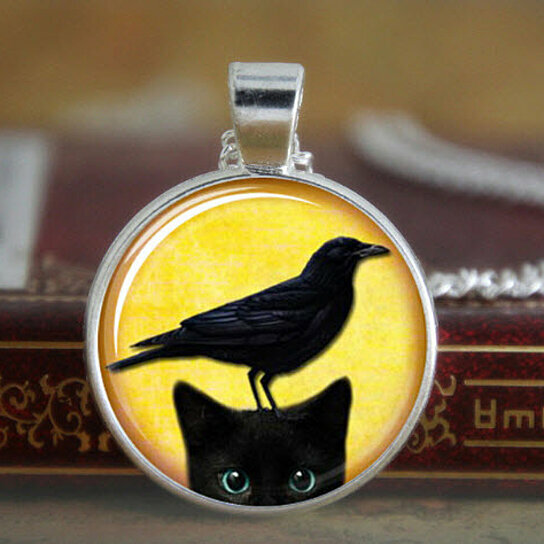 This is a handmade, high quality art pendant that measures 1 inch (25 mm) in diameter. The image used for this pendant is printed on a color laser printer using photo-quality, bright white paper for the finest image rendering and sealed with a clear, glass dome to enhance the artwork beneath! The pendant comes with a 24" matching link chain. Please note that these pendants are not waterproof-please remove before swimming, bathing, etc. All necklaces will come in a nice gift box /pouch.